[miningmx.com] – BHP Billiton, due to spin out its aluminium business when it demerges assets in 2015, has sold its Bayside casthouse to an empowerment company in which semi-fabricator, Hulamin, has a 40% stake. Isizinda Aluminium, which has local empowerment grouping Bingelela Capital as its 60% shareholder, has also signed a five-year slab offtake agreement totalling 96,000 tonnes/year with Hulamin worth R10bn. BHP Billiton’s Hillside smelter will supply liquid aluminum to the casthouse which will then be on-sold to Hulamin. This is the first time BHP Billiton has sold liquid aluminium in this way, said Graham Kerr, CEO-elect of BHP’s proposed demerged vehicle. 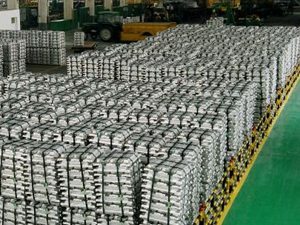 In addition to its 40% stake in Isizinda Aluminium, Hulamin will also provide managerial, technical and administrative support in line with a strategic operator agreement, Hulamin said in a separate announcement. “Not only will it secure our rolling slab supply from Bayside for the next five years and beyond but it will also see the creation of an aluminium hub in Richards Bay,” said David Austen, acting CEO of Hulamin. “This hub has the potential to supply liquid metal and/or castings to other manufacturers in the South African aluminium industry thereby stimulating growth in downstream beneficiation,’ he said. BHP Billiton will continue to operate the Bayside casthouse and to supply slab to Hulamin on an interim basis, until Competition Commission approval is granted and the acquisition is implemented, Hulamin said. Kerr said the sale of the casthouse to the Isizinda would meet with South African government plans for downstream beneficiation and added that an expansion of product range was being considered. “They will be exploring extension and expansion opportunities for the liquid metal supply agreement while the consortium is also looking into the diversification of products on adjacent land,” he said. Isizinda CEO, Sizwe Khumalo, said it would engage with workers in the casthouse – about 80 people in all – once the transaction was completed. “Having just got into transaction we have plans to engage with employees and we believe we will be able to maintain employees. The jobs will be retained,” he said. BHP Billiton halted liquid production of aluminium from Bayside in June, said Kerr. The group had been able to redeploy some employees while others accepted voluntary retrenchment packages. He did not disclose how many jobs were lost in all at Bayside. Commenting on the proposed demerger of assets from BHP Billiton, Kerr said that some regulatory approvals had been received – from the Australian Foreign Investment Review Board and Australian Taxation Office – with a view to holding the shareholder vote on the proposal in May. “It is going according to plan and we are getting approvals. Engagement with key stakeholders has been positive and we are on track to go to shareholders in March (with the circular) and vote on the demerger in May,” he said. The sale of the casthouse, however, was not a precursor of potential corporate activity the demerged vehicle would undertake. “The sale of the casthouse is more of an exception as the process started a while ago,” said Kerr. “We plan to keep assets in the demerged vehicle although we’ve already said that Nickel West won’t be a part of demerged vehicle,” he said. He added that the aluminium business was faced with “challenges” but there would be no further portfolio changes. Kerr also said it was reasonable that other companies would be interested in buying assets held in the demerged company. “These assets are attractive. We have the world’s largest silver mine and the best manganese business by a mile. So you would expect to hear people want to buy them,” he said. chairman, Saki Macozoma as saying he would be interested in buying BHP Billiton’s Hotazel manganese mine which borders Tshipi’s operation in the Northern Cape province of South Africa.